Fortune and Kaiser Health News published a joint article on the hardships some physicians face when using EHRs. Dr. Minor, a physician and professor at Stanford (Calif.) University School of Medicine, was struck by the insights and information shared. "In addition to highlighting [EHR's] inability to share information across propriety platforms, as well as the fact that physicians report spending more time than ever on data entry rather than interacting with patients, the in-depth investigation uncovered thousands of incidents in which errors caused by faulty electronic health records harmed patients," Dr. Minor penned. The ear, nose and throat physician specifically talked about physicians' inability to search for data to support clinical decision making in a record system. 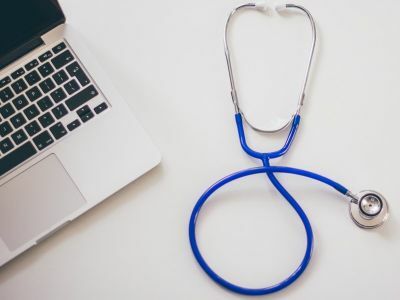 Comparing in to a patient's ability to search the Internet for symptoms and treatment information, physicians lack basic search functions on EHRs. "As a physician and leader of an academic medical center, I find this deeply worrisome," Dr. Minor wrote in STAT. 1. EHRs need to be interoperable. "This is the most important challenge, one that will require a combination of technical and operational solutions," he wrote. "The healthcare industry, including insurers, must agree to common technical standards to effortlessly exchange data, and providers must enforce these standards through shared contracting requirements with technology vendors." 2. EHRs need to be redesigned to better meet physicians' needs. "Doctors complain about the dozens of clicks it can take to order a simple test or submit a prescription. Physicians and developers must work together to build new systems or update existing ones, so they better reflect the rhythms of clinical care," Dr. Minor wrote in STAT. 3. EHRs should incorporate artificial intelligence. "Electronic health records should incorporate artificial intelligence that can synthesize anonymized patient records; combine them with the medical literature; and provide insights at the point of care. We have the computing power to perform this kind of analysis, the anonymized records to study, and vast swaths of digitized medical literature," he concluded.